1992. 3. Graduated from the Faculty of Engineering, Kyoto University. 1994. 3. Graduated from the Graduate School of Engineering, Kyoto University. 1994. 4. Reseacher, The Japan Research Institute, Limited. 2002. 4. Reseach Associate at the Faculty of Engineering, the Gifu University. 2007. 4. Assistant Professor at the Faculty of Engineering, the Gifu University. 2008. 12. 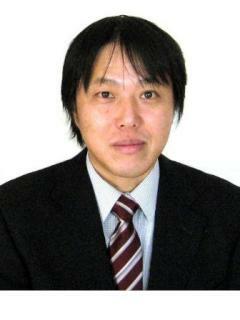 Associate Professor at the Institute of Technology and Science, the University of Tokushima. 2019. 4. Professor at the Graduate School of Technology, Industrial and Social Sciences, Tokushima University.